Cover for Gakuen Kino novel 4. 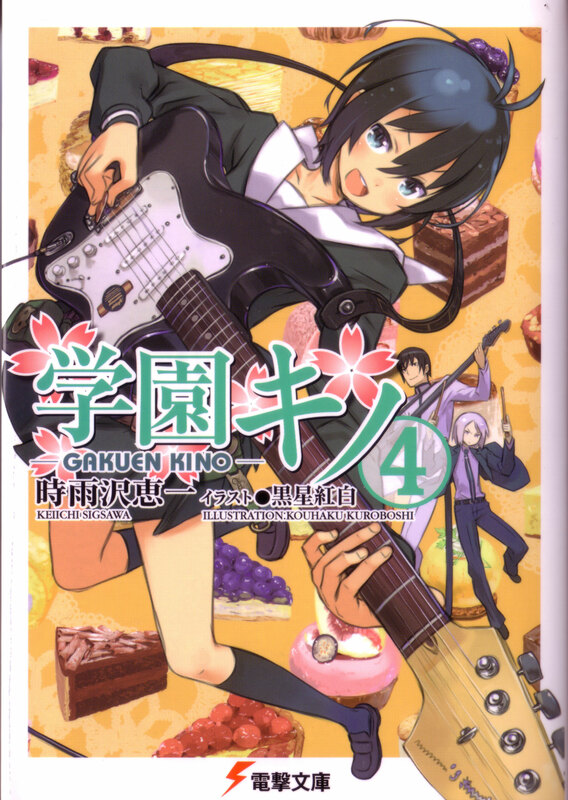 In this volume, Kino, Shizu and Rikutarou start a band. I cannot describe in words how awesome it is to see Kino playing an electric.